If you are a homeowner that takes pride in maintaining your home, then you are probably well aware of the responsibilities that come with conducting routine upkeep. Just about every homeowner is faced with meeting some type of challenge(s) in regards to their property, whether it be repairs, replacements, cleaning, or complete renovations. Whichever the case is for the homeowner, they should never give up, as a home is usually considered as being one of the most valuable assets an individual can own and invest in. A home’s most utilized components, amenities, and appliances are usually the areas that become the most prone to breaking down due to natural effects of wearing and tearing. Such circumstances are basically inevitable, as physical products are tangible and prone to deteriorating over specific periods of time. Some of the most commonly utilized areas of a home are interconnected to a centralized set of pipelines and drains, which ultimately work together in an entire plumbing system. Therefore, if any specific area of a home’s pipeline(s) and drain(s) become problematic, there is a very good chance the entire system will become affected one way or another. A homeowner can compare their plumbing system to a set of dominoes, as one faulty area can cause the entire system to collapse. This is actually a very common scenario that many homeowners aren’t necessarily too aware of. However, those that are aware of this circumstance are in a good position of not only retaining the overall value of their home, but also of potentially increasing it. What Is Connected To The Plumbing System? Some of a home’s most commonly utilized amenities and appliances that have an effect on the property’s plumbing system are sinks, water spigots, refrigerators, bathtubs, toilets, outdoor sprinkler systems, swimming pools, garbage disposals, and sewage systems. Just about every one of these things are used on a very regular basis, for most homes, at the very least. 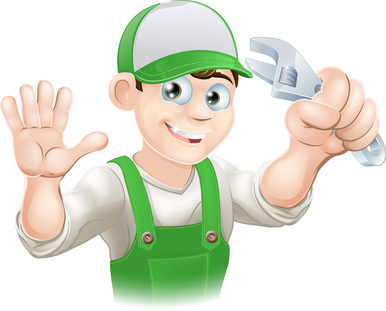 If you are experiencing any issues with any of these components in your home, it is highly recommended for you to contact your local plumber to get an inspection conducted, an analysis of the issue, and a repair/replacement quote. Call Heidler Inc. at (410) 268-7191 right now for bathroom remodeling services. Our experienced technicians will service your Annapolis home in no time!